Everyone has an upset stomach at one time or another. 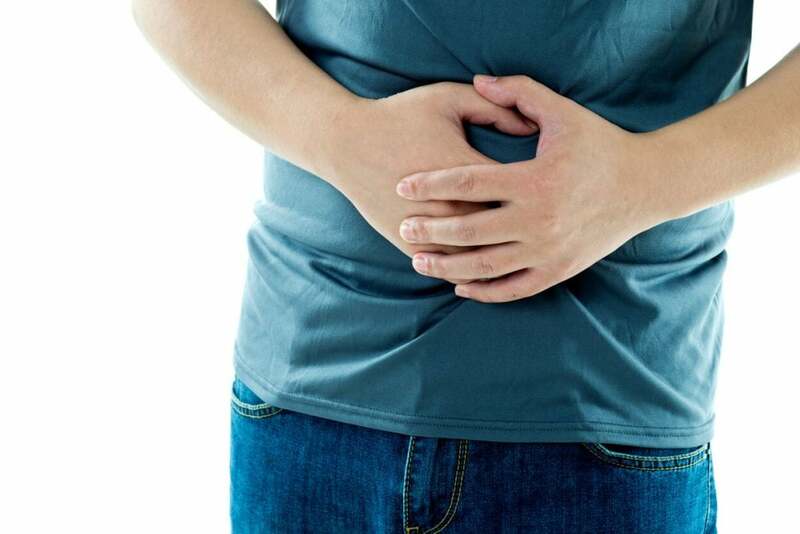 We are all familiar with the stomach rumblings that send us to the bathroom with diarrhea or the cramping that comes when we've eaten something that doesn’t agree with us. While uncomfortable, these instances pass and we go about our daily lives and forget about them. What happens, however, when you experience these feelings of discomfort at least once a week for three to six months? In that case, it is possible you are dealing with more than an unhealthy diet. You may have Irritable Bowel Syndrome (IBS). Irritable Bowel Syndrome is thought to be caused by having an extra sensitive large intestine. When food reaches the colon, it can either pass through too quickly or not quickly enough, causing pain, bloating and gas. Once a bowel movement occurs, it is either very dry or very loose. Doctors have not yet figured out exactly what causes some people to have this extra sensitivity. Having irritable bowel syndrome may cause you to feel very uncomfortable. Luckily, there is no indication that this issue leads to greater problems. Once you are able to get it diagnosed, your doctor will work with you to help treat your symptoms so they don't keep causing you to problems in everyday life. The symptoms of IBS may not be a daily thing. They come and go. Certain foods may cause flare-ups and times of stress often cause the symptoms to get worse. For a diagnosis to be made, you don't have to have issues daily, but you must have had them for a six-month period. How Will My Doctor Diagnose IBS? There is currently no test that can diagnose irritable bowel syndrome. The doctor will need to take a thorough medical history, evaluate your symptoms and possibly give you tests to rule out other gastrointestinal disorders. If you have been able to keep track of your symptoms over a period of time, a simple physical may be all that is necessary. If the doctor is not completely sure of the cause of your discomfort, they may order blood work and a colonoscopy to help rule out other possibilities. Proper treatment is dependent upon a proper diagnosis. Being able to give your doctor as much information as possible will help with diagnosing what’s wrong. Finding relief at Park Avenue Medical Professionals is easy, and fast. The staff consists of highly trained and experienced physicians who believe in treating their patients in the same manner they would family. The board-certified NYC gastroenterologists have experience in treating all manner of stomach problems and can have you on the road to comfort in a short amount of time. Unlike many offices, once you contact Park Avenue, they may be able to get you in to see a doctor the very same day. They know you are in distress and want to help provide comfort as quickly as possible. There is no cure for IBS, but there are treatment options that can make your life much better. It can be controlled. Often all that is needed is a change of diet and stress relief, but there are medications that ease the symptoms and make flare-ups less frequent. You don't have to live your life chained to a bathroom or doubled over with cramps. Contact us today and see what we can do for you.